It’s not a big issue when user find that which OST data file stored in local machine and that file has been inaccessible. Outlook OST file is systematic and synchronized copy and there is probable chance to be corruption. Many users are having OST Files related issues like “the file cannot be used because it was created for a different user?”, “outlook.ost file can’t be opened”, or any other error in OST file, due to any unfavorable circumstances happen. What is The Reason behind Outlook OST file Corruption? There are so many reasons those are responsible for OST file corruption. This blog is presenting some major reasons which are categorized into two major sectors – Hardware Related and Software Related. This is a very common issue and users face it when they try to use one OST file in other system. Suppose any company has many employees and all are connected with one Exchange server. One of them copy his Outlook OST file from local system and try to open with another profile, and then he cannot open that OST file because the OST file has become orphaned due to disconnection from Exchange server. 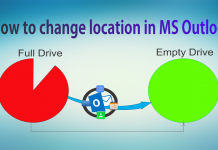 When you copy or cut your OST file from your local machine, the OST file of Outlook lost MAPI details from Exchange server and become inaccessible. If you have requirement to open OST file in another Microsoft Outlook then don’t panic, please follow some easy steps and you will effortlessly get back your OST mailbox data with complete data. First of all, convert OST file to .PST file (Personal Storage file), because you never use OST File directly. Solution2: As you all know that there is a solution to every problem in this world; sometimes it is easy or sometimes difficult. Solution of this error, user has to convert OST file in PST file format. Conversion of OST file to PST doesn’t need any Outlook platform and Exchange server. But OST to PST conversion is not possible without any third party tool because there is no any method to restore data from corrupt OST or healthy OST to PST file. User can only view and import PST file from one to another machine, but for OST file, have to download and buy software to retrieve OST to PST. There are so many third party applications available in Internet market which is easy to utilize and recover OST data and convert in PST file. Conclusion: I have created this blog for the solution of error which can faced by any Outlook user. Here are 2 types of solutions for this error. But without OST file to PST conversion, user cannot use OST file in another system. If user wants open OST file which is connected with Exchange server for another user then he will definitely face this issue. So user should try these solutions which are provided above blog. If you have still any query then please feel free to write in comment section. Next articleHow to Setup a Shared Mailbox in Exchange Online (O365)? 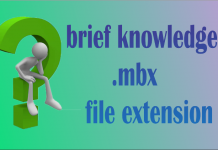 MBX file detail-What is .mbx extension & how to use mbx folder. 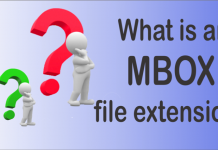 What is .mbox file extension & how to Open MBOX Format? OutlookTalks is a hub of information related to Microsoft Outlook, Exchange Server, Office 365, Lotus Notes and Domino Server etc.